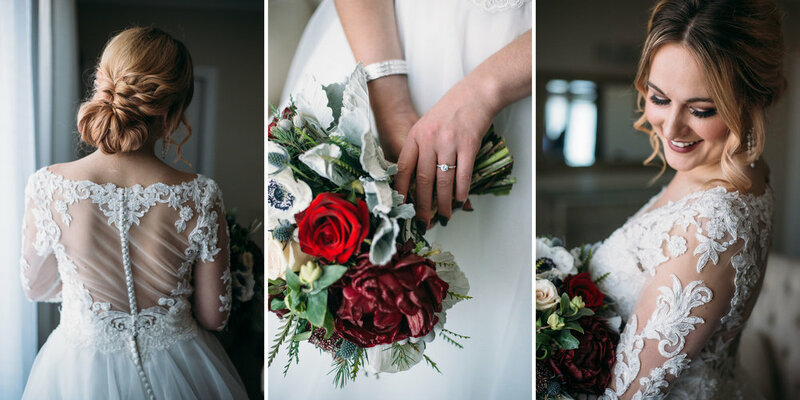 We are so excited to share our very first styled shoot on the blog today! 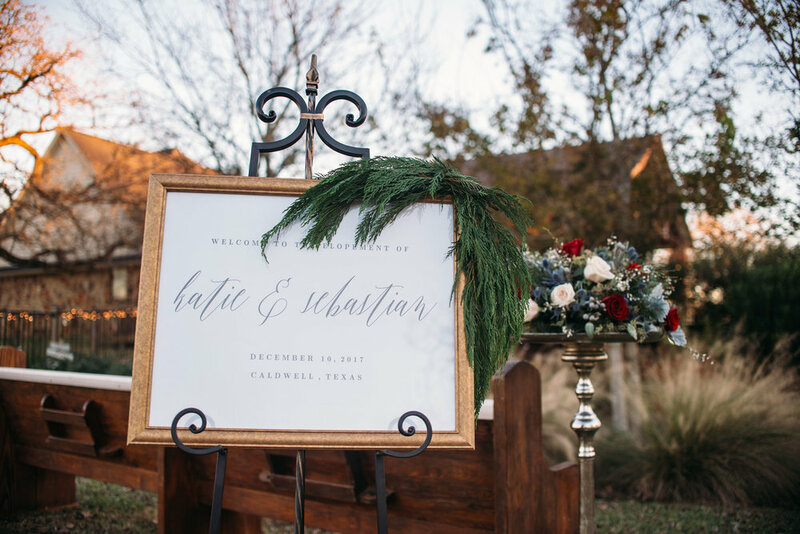 A styled shoot is a collaboration between vendors that exercise their creative expertise in a mock wedding. It's a great opportunity to showcase decor, floral arrangements, a dress or photography style that they may not have a chance to during other projects. 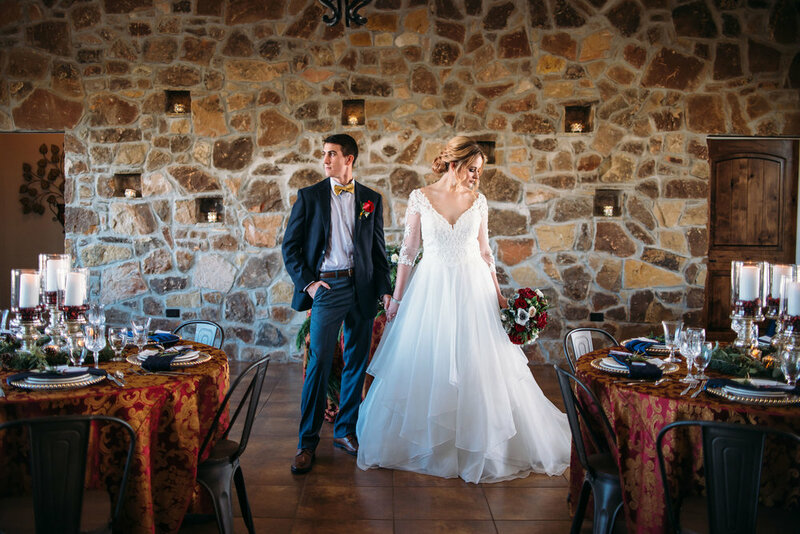 For this styled shoot we aimed for an elegantly modern vibe showcasing the wonderful spaces and stonework of Double Creek Crossing in Caldwell, TX. 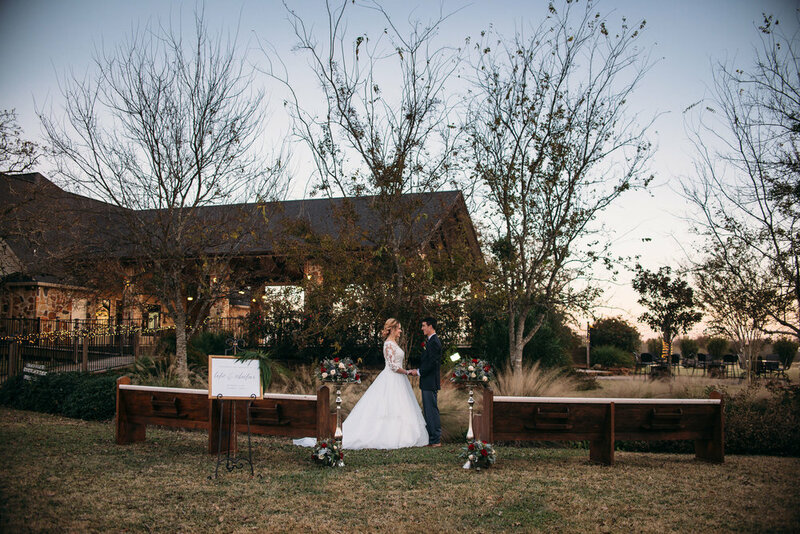 Ashley & Co. selected excellent decor to bring out the venue's natural features. The vibrant red of the paisley linens, the satin blue napkins and the white and gold candles made for a romantic feel. 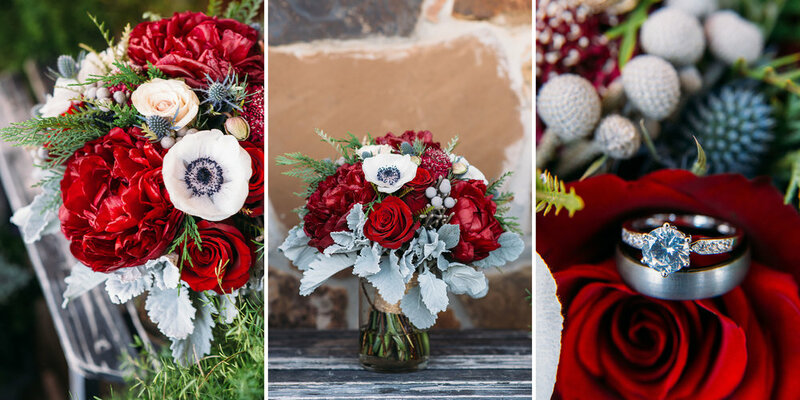 Jessica with Busy Lil' Bee matched the rich hues of the shoot in her creative floral arrangements which included some beautiful Peonies, Quicksand Roses, Explorer Roses, Anemones and more. 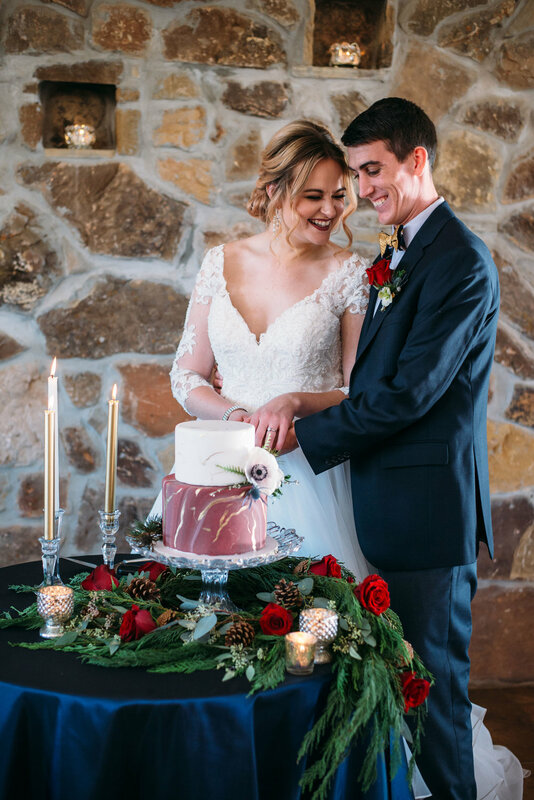 The team at VIP Bridal fitted Katie into a stunning Morilee dress featuring some gorgeous lace work while our groom played the part of the dapper gentleman in a navy Jos. A Bank suit. 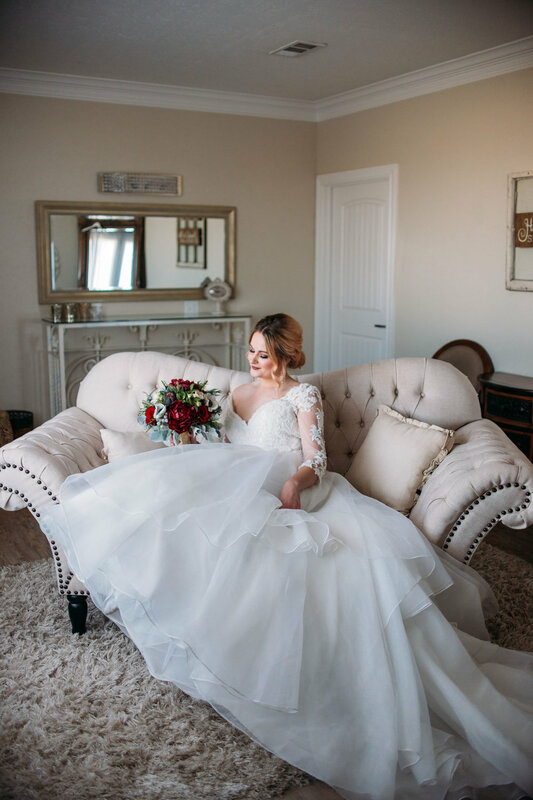 Rachel and Payton with Blush & Glow Co. did an amazing job letting our model look her best with natural makeup application and an elegant braided hairstyle. Delicious hors d'oeuvres and marbled cake were provided by Sandee's Sweets and Hilton Catering. Special thanks to the wonderful team who lent their time and talents to make this possible. If you like these images be sure to check them out!